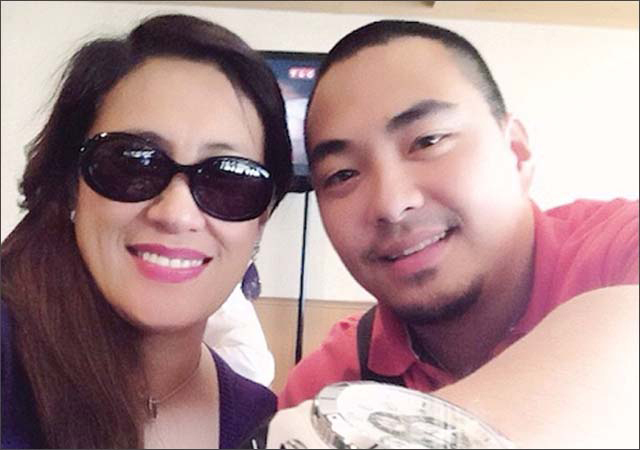 This entry was posted on Monday, May 20th, 2013 at 2:10 am	and tagged with ai ai delas alas jed salang breakup, ai ai delas alas jed salang split, aiai delas alas husband, aiai delas alas jed salang, aiai delas alas jed salang hiwalay, aiai delas alas jed salang married, jed salang, jed salang age and posted in commentary, hodgepodge, philippines. You can follow any responses to this entry through the RSS 2.0 feed. « Araw ng Makati 2013 holiday? Ai its not the end of the world, kaya mo yan. God heals the broken hearted. God gives us trials na alam nyang malalampasan mo. Dont be sad, nothing is impossible with God. Just go on with your daily life with your family. Your real soulmate is out there waiting for you. Dont let this bad experience stop you from living. Be happy! Cheers! I know it’s hard for Ai-Ai but in life, you can’t have everything all at the same time. Perhaps she’s better off alone. Or maybe she needs to keep trying. Either way, I hope Ai-Ai learn to keep things private. I mean, she’s not Kim Kardashian for crying out loud. Mas lumalaki kasi ang issue pag overwhelming ang publicity. Celebrities nowadays should learn from their predecessors like Dolphy et. al. Anyways, Mark, sa blog mo ba nanggaling yung leaked photo ni Marjorie? No. I uploaded the picture here on my blog but I am not in any way the original uploader. As we say in Filipino, nakisawsaw lang ako sa isyu for the sake of blog visits. the comment sounds like: if its a Filipino artist, i.e. Ai-Ai, she has to “keep things private” but if you’re Kim Kardashian its okay? what a double standard! With Aiai its the real thing. But wd kardashian its all about publicity and money! They dont even know whats real and whats not! Miss Ai, ok lang yan, minsan ganyan talaga ang buhay, magmahal masaktan magmahal uli hanggang sa mahanap mo na talaga ang tao para sa iyo, Hindi pa siguro napapanahon kaya dont stop loving, tsaka piliin mo na ang taong mamahalin mo. At least habang maaga pa nalaman mo ang totoo, I salute you for fixing your life this early dahil marami nagmamahal sayo, marami natutuwa sa iyo, sa mga taong pinapaligaya mo at nag.aabang pa sa mga movies mo. etc. I think JED SALANG is psychologically unstable person, he is sick because he can not manage his anger. KARMA lang ang katapat nyan. Miss AI this is a lesson learned. Jed is the reflection of how he was raised by his family. I think you are not the only one whom he had hurt maybe there are other women too. Pls. give your self dignity by filing a case against him for domestic violence because here in the US it is not tolerated by the law he will end up in jail for domestic violence. Hind man niya inisip that he is living in your own home with your children how can he be as a man. He did not even think for what he has done he give shame to him self as a gold digger baka naman that is his business. If I were you bawiin mo yun CAMARO He don’t deserve that for fooling you. Shame to his woman baka she will be the next victim to violence. Ai Ai I salute you for being strong in getting rid of Jed. He doesn’t deserve your love! It’s his BIG LOSS — stay strong you have children who love you dearly… Most of all GOD is in your side… He saved you when you grabbed the rosary during Jed’s maltreatment to you. Keep your head up high! We are on your side! Do not be ashamed of what happened to you… there is NO PERFECT relationship… we all make mistakes and what is good from making a mistake is we learned a lot from it and it makes us stronger and wiser… WE LOVE YOU AI AI!!! God Bless Miss Ai Ai… hugs and kisses! Nakakalungkot ang nagyayari kay ms. ai-ai, pero ganon talga ang buhay na kahit anong pagsubok ang pinag daana nya ajan naman ang pamilya mo at mabuti nalang na early on your relationship with him you know already his color. Keep up always Ms. Ai-ai. God Bless You. Yah its true. better as earlier she know the his color. Hope you will find the man of your dreams. Sana makakahanap ka ng taong tunay kang mamahalin. God bless. I feel pity in you, God bless you. Sana ako nalang si Jed, you will be the apple of my eyes. Sana minahal ka nya ng tunay, which you deserve it.